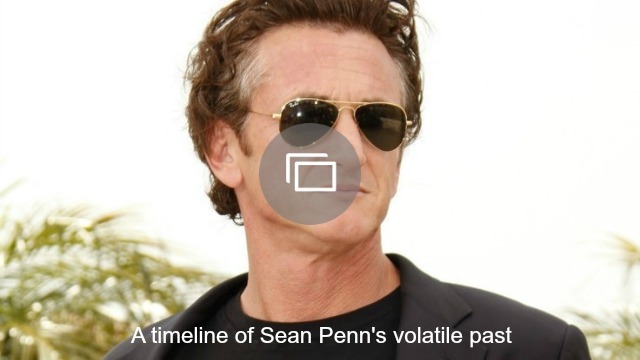 It looks like Sean Penn is off the market once again. After the 56-year-old actor was spotted kissing 24-year-old Leila George on the beach in Hawaii on Wednesday, the pair took a major, public step in their relationship and walked the red carpet together at a special event celebrating Penn in Los Angeles on Thursday. The pair’s relationship seems to be heating up rather quickly. They were also spotted out together on Friday night when photographers caught George and Penn getting dinner in Malibu. So, who is Leila George? Aside from being an actress, she’s also the daughter of Law & Order: Criminal Intent star Vincent D’Onofrio, 57. George’s acting career is definitely on the rise. She recently starred in the television movie Mother, May I Sleep with Danger alongside James Franco and Tori Spelling. The Australian-born actress’ new film, The Long Home, also stars Ashton Kutcher, Josh Harnett, Robin Lord Taylor and Franco. Sean Penn was linked to Minka Kelly earlier this year, following his breakup with Charlize Theron in 2015 after five years of dating. Penn was previously married to Madonna from 1985 to 1989 and to Robin Wright from 1996 to 2000. Penn has two children with Wright: daughter Dylan Frances, 25, and son Hopper Jack, 23.